D-Line specially designed trunking (D-Shaped!) that blends with decor so cables disappear. Trunking cable covers are easy to fit, and look great on any surface. 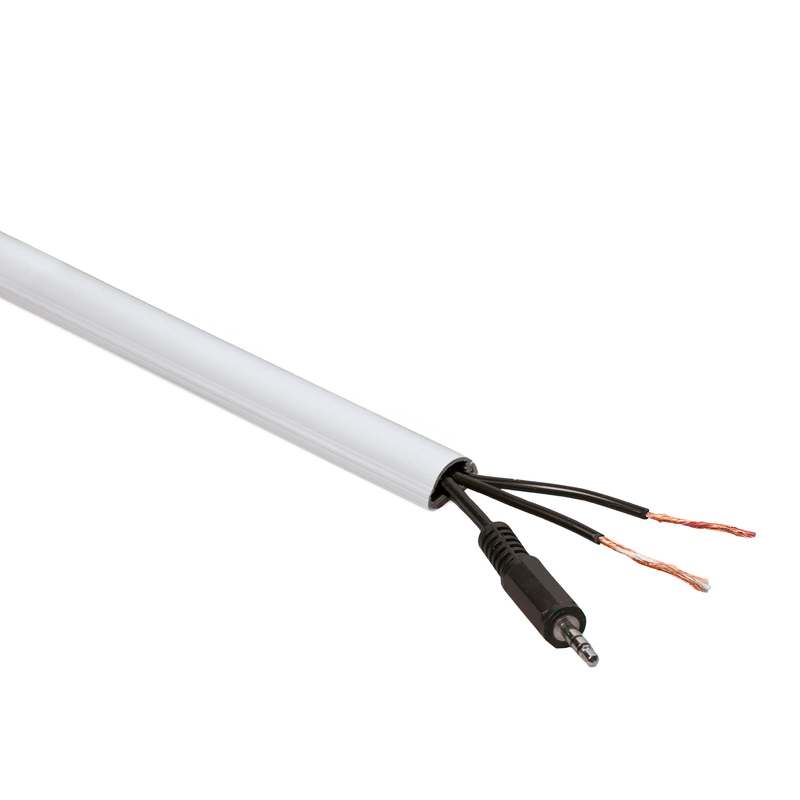 D-Line 1/2 circle shapes subtly hide cable drops, or can be installed above skirting boards to create a cable duct so discrete it simply blends in position. All lengths incorporate D-Line's patented click-lock and hinged lid. Lengths are PVC, so easy to cut, with an adhesive strip for peel-and-stick fitting. These features combine to make handling and installations quick and easy. D-line accessories are designed to enable a uniquely smooth fit between lengths. For installers wanting quickest solutions we've clip-over accessory options also. Select from a complete range of accessories to achieve a perfect finish for your installation. 16 x 8mm. 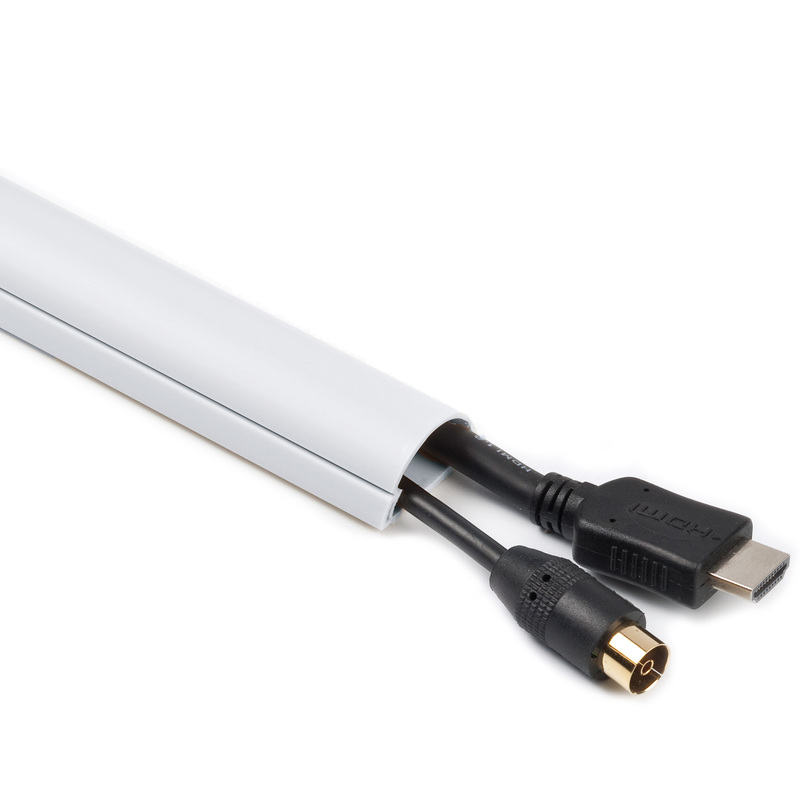 Ideal for concealing cabling for wall-mounted screens and other audio visual equipment. Trunking cable cover. 22 x 22mm. 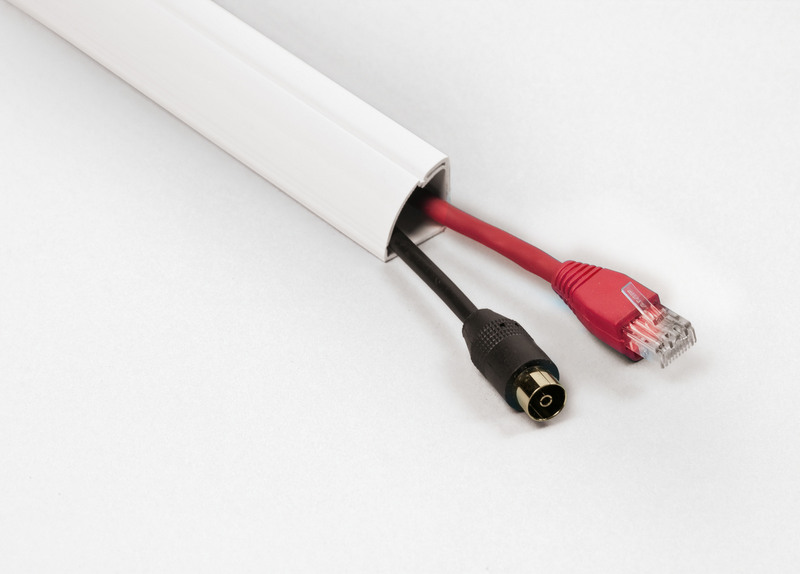 Ideal for concealing cabling for wall-mounted screens and other audio visual equipment. Trunking cable cover. 30 x 15mm. 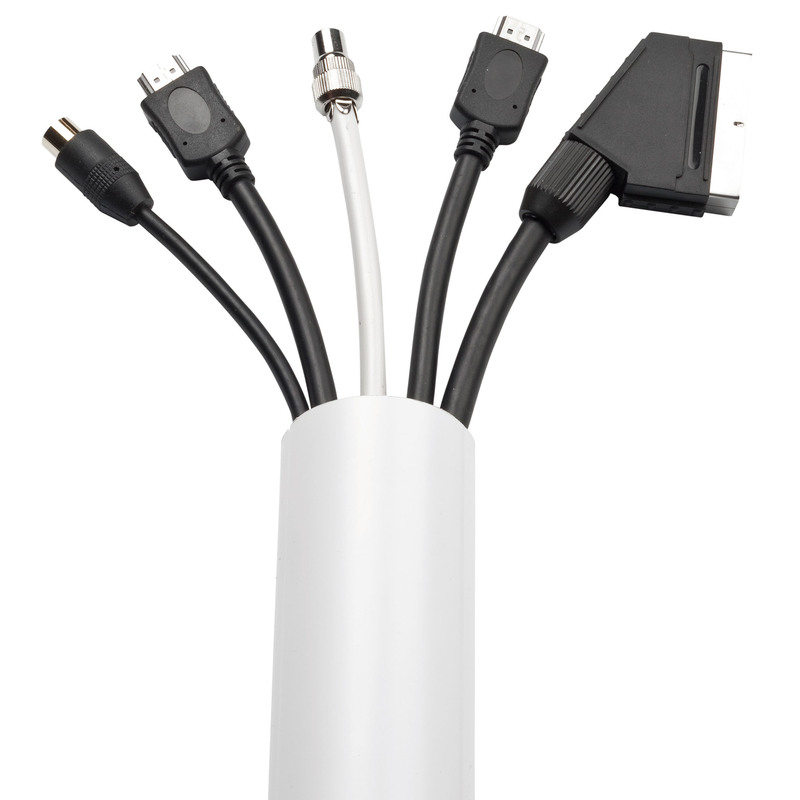 Ideal for concealing cabling for wall-mounted screens and other audio visual equipment. Trunking cable cover. 50 x 25mm. Ideal for concealing cabling for wall-mounted screens and other audio visual equipment. Trunking cable cover.